The first purpose of this experiment was to compare the mold growth on Mozzarella, Colby jack, pepper jack, and cheddar cheese. I became interested in this idea when I went to get some cheese for dinner and it had mold all over it. The information gained from this experiment could help people decide what kind of cheese to buy for mold resistance. This would be valuable to hunters, back packers, and those who live far from a store. People who run restaurants or other big kitchens (like schools or hospitals) would also be interested. People who sell or distribute cheese would also want to know. My hypothesis was that mozzarella cheese would support the most mold growth of the three types. 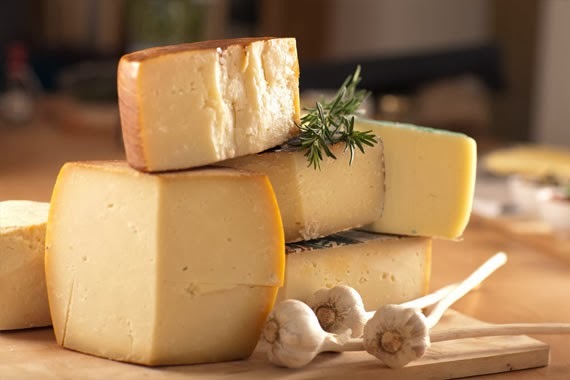 I based my hypothesis on the World Book Encyclopedia article, “Cheese”, by Robert T. Marshall, “softer cheese will support more mold growth”. The manipulated variable was the type of cheese. The responding variable was the amount of mold grown. To measure the responding variable I used a transparent plastic grid marked with square centimeters to measure the mold growth daily. 3. Cut 4 pieces of wax paper 17cmx23cm and place in four “9inx12in” aluminum pans. 4. Cut the cheddar cheese into six slices, 5cmx5cmx1cm. 5. Put on lab coat, goggles, and rubber gloves. 6. Add water to the mold spores purchased from a biological supply house and make a mold suspension with water. 7. Dip the cheese into the mold suspension. 8. Place cheese on the wax paper. 9. Label the cheese slices “trial one” through “trial six”. 10. Place a 6cmx8cmx1.5cm-wet sponge in the center of each pan to avoid dehydration. 11. Cover tightly with plastic wrap. 12. Store cheese at 22 degrees in a safe place at school. 13. Repeat steps 1-8 for each of these other groups, Mozzarella, Colby jack, and Monterey jack cheese. 14. Measure the mold growth on all the cheese with the transparent grid every day for one week. 15. Record in data table. The original purpose of this experiment was to compare the mold growth on Mozzarella, Colby jack, pepper jack, and cheddar cheese. The results of the experiment were that the highest average amount (on the final day) of mold growth was 6 sq cm on mozzarella cheese. The lowest amount was pepper jack cheese; it only had 0.3 sq cm of mold growth. The results indicate that this hypothesis should be accepted; mozzarella cheese was first to mold and had the most mold growth. Because of the results of this experiment, I wonder if the results would be different if the cheese was stored at room temperature, 3 degrees Celsius. If I were to conduct this project again I would have a lot more trials, run my experiment for more days, and I would use more types of cheese. I would also keep everything more accurate.